The Doors of the 21st Century were an American rock band formed by two former members of The Doors, Ray Manzarek and Robby Krieger in 2002. Also known as "D21C", "Riders on the Storm", and "Manzarek-Krieger". They finally settled on using "Manzarek–Krieger" or "Ray Manzarek and Robby Krieger of The Doors" for legal reasons, after court battles between the two musicians and Doors original drummer John Densmore. 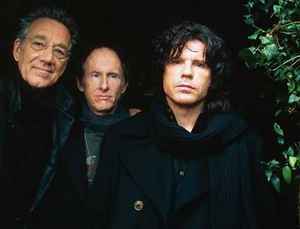 They performed Doors material exclusively until the death of Manzarek in 2013, when the group disbanded.